Since we're only a few weeks away from our little roo's birthday party, I am starting to work on some of the party styling ideas. I thought I would share some of the behind-the-scene photos from my home/studio! 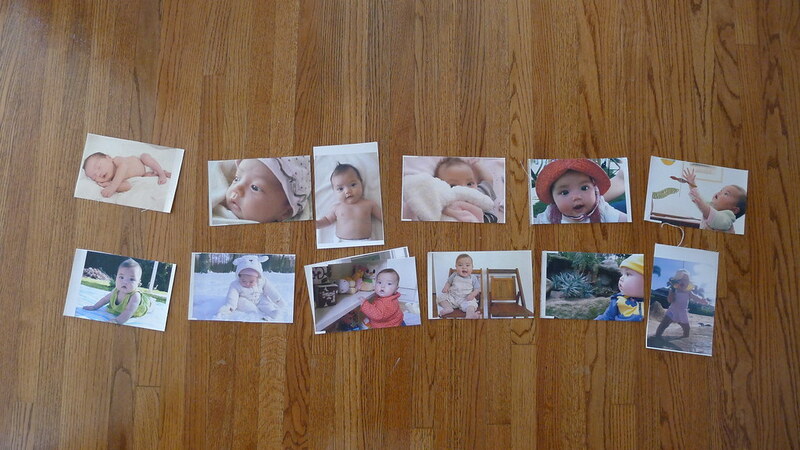 One of the project I am working on is this collage capturing the 12 months of our little roo. Going through all the photos from day 1 of her life was a very emotionally moving process... then I selected the best of each month which captured something special about her growth at the period of her life. With some tweaking and manual reinforcement, I was able to run printable canvas through our printer. I love love love the textures of canvas! Doesn't it make photos an instant keepsake? Now I have printed all 12 photos, I am going to sew these canvas photos onto letter size heavy-weight papers... so after the party, I can put them in the special binder. She was 2 weeks old in this photo. One of my all time favorite! 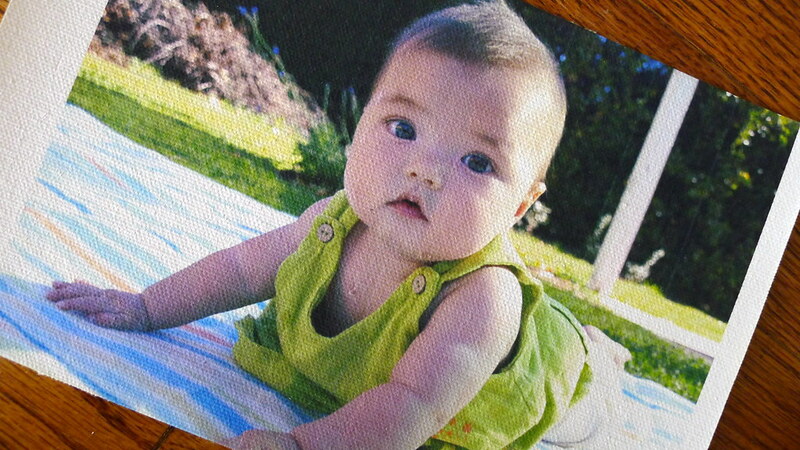 Around 6 month she started to be very interested in crawling. I can't believe I took this photo in December... I guess we had a relatively warm winter. 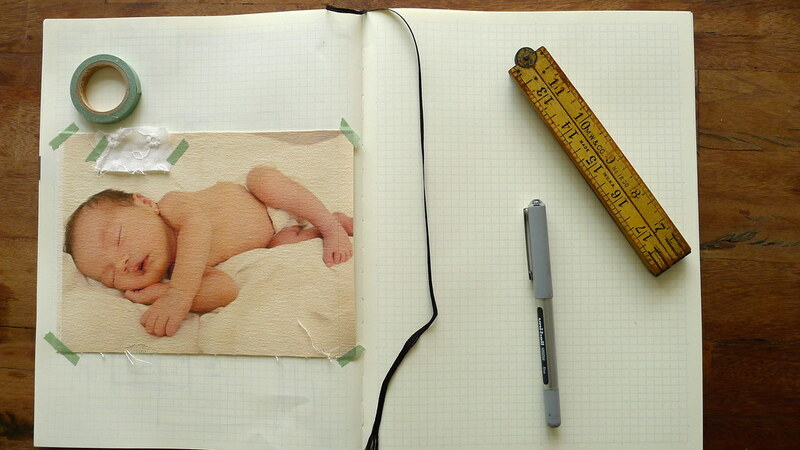 This is my project book where I keep my process/ideas for creative projects. (Here I am using a MD Grid Notebook in A4 size because I usually need a lot of space to feel free of chaos.) 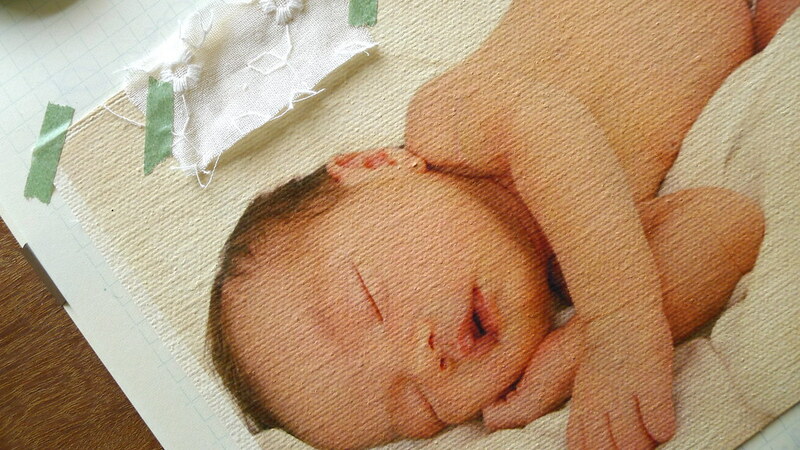 Originally I was thinking of stitching the canvas photos onto vintage fabrics so you see the little sample comp on my page. 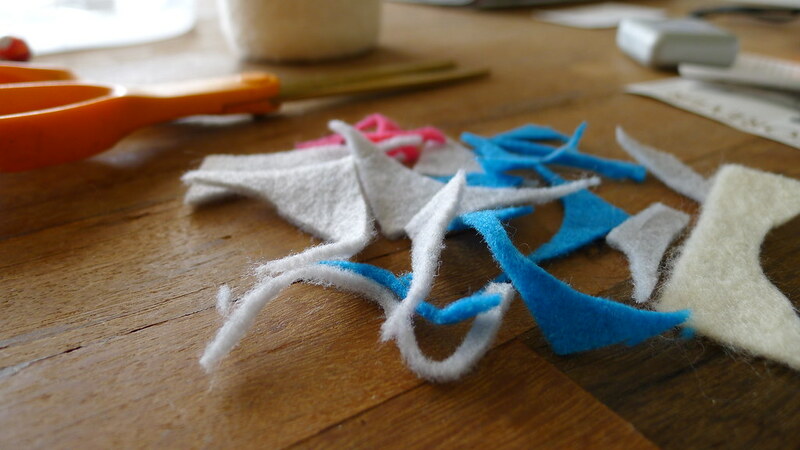 I am also working on a colorful garlands that will be hung around a little gazebo we have in our backyard. 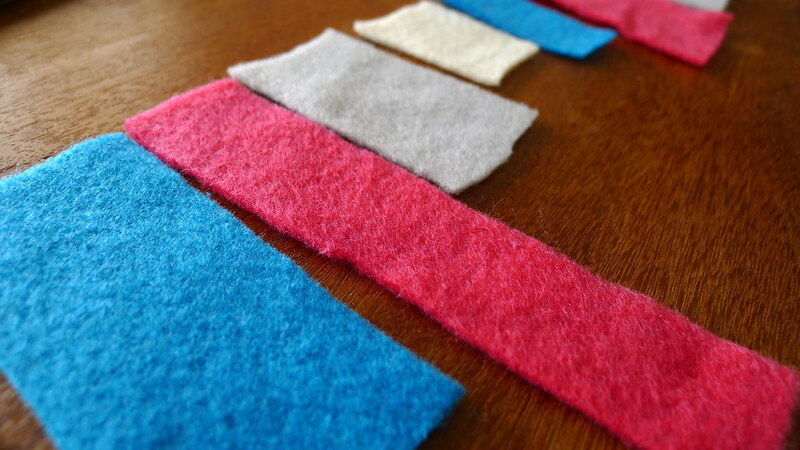 I found pieces of left over felt fabrics so I decided to cut them in various square/rectangle shapes. Initially I was thinking of doing circles but I figured that I would waste less fabrics with square/rectangle shapes. We have to be resourceful, right?